With a few exceptions, most American cars from the 1980's don't get a ton of love from enthusiasts. The Thunderbird Turbo Coupe won Motor Trend's car of the year for 1987, but still couldn't one up the Ford Mustang. The bird's 2.3 turbo had 190hp vs the SVO's 205hp and the 5.0 V8 in the bird sport had 150hp vs 225hp in the Mustang. The Turbo coupe is often thought of as a American version of the BMW 6 series coupe from the same time period. Prices on the 6 series have risen substantially in the last couple years so today's super clean bird is a lot of coupe for the dough. 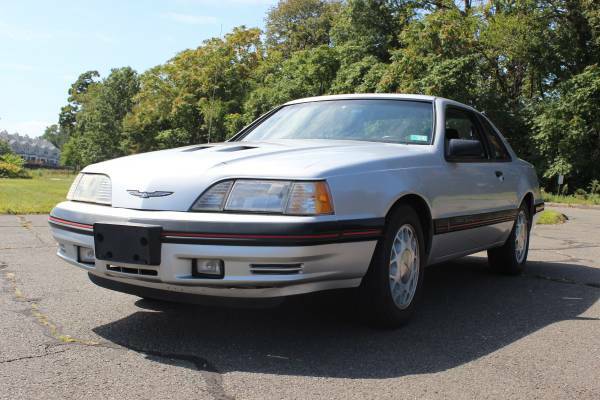 Find this 1987 Ford Thunderbird Turbo Coupe for sale in Trumbull, CT for $5,950 via craigslist. 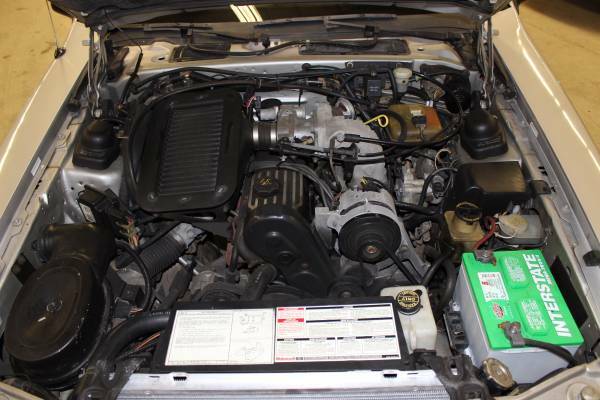 This one owner car only has 78,000 miles on the odometer. Factory vin tags are reported to be present on all of the body panels. 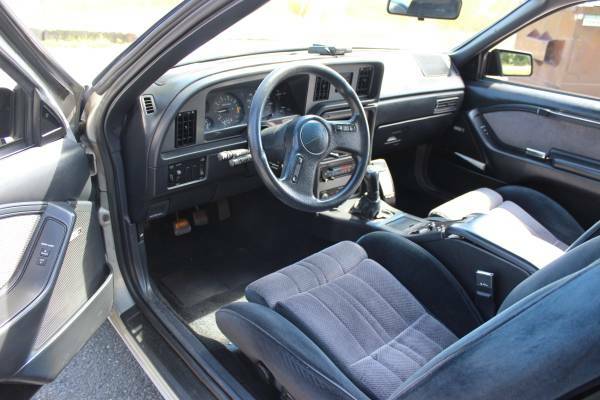 The exterior and interior look to be outstanding condition from the pictures. The period cell phone is not likely to be functional. The "turbo" embossed shift knob is a interesting touch and a testament to how original this car is. The seller claims the adjustable suspension is still functional in all the different modes. The turbo Lima engine had different boost level settings for each gear. The 2.3 was never one of the smoothest running engines, but for this application it was much more under control because of new fluid filled motor mounts. I never realized before how Mustang-esque the face is on these. To a pimply adolescent enamored with euro exotics, this model was THE American car that turned my head most often BITD. It always lioked to me as if it had just driven off the Trans-Am circuit, although it was Stangs that raced in that series. Low and mean. I might've seen this very car last week out on the road in central CT. Certainly an equally well preserved example. It looked great which really surprised me (American cars usually put me to sleep). "The period cell phone is not likely to be functional." Without an AMPS network to connect to it's not particularly useful, even if the phone itself is operating perfectly. 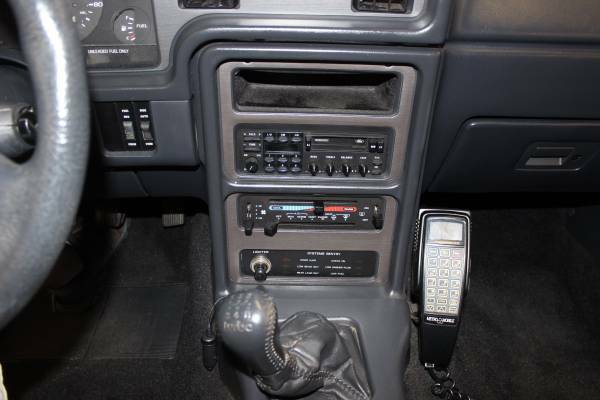 Hmm, I wonder if there is a market for converting old built in car phones to something that works but looks original. Shockingly appealing, especially for an 80's domestic product. You could do a contest: try to find a more appealing domestic 80's product, Corvette excepted.